The objective of concrete laboratory is to determine the physical properties of building construction materials like cement, fine and coarse aggregate, steel, wood, and strength characteristics of cement mortar, plain cement concrete and reinforced cement concrete. The tests include determination of specific gravity, fineness, normal consistency, setting times, workability and soundness of cement, fineness modulus of fine and coarse aggregate, strength of cement mortar, cement concrete and bricks, tensile test on steel rods, bending and flexural strength on concrete, bending test on wood, and non destructive test on concrete. The students will be able to infer the suitability of these materials for construction. They can design the mix, make the specimens and test the same for the strength for comparison with design strength. 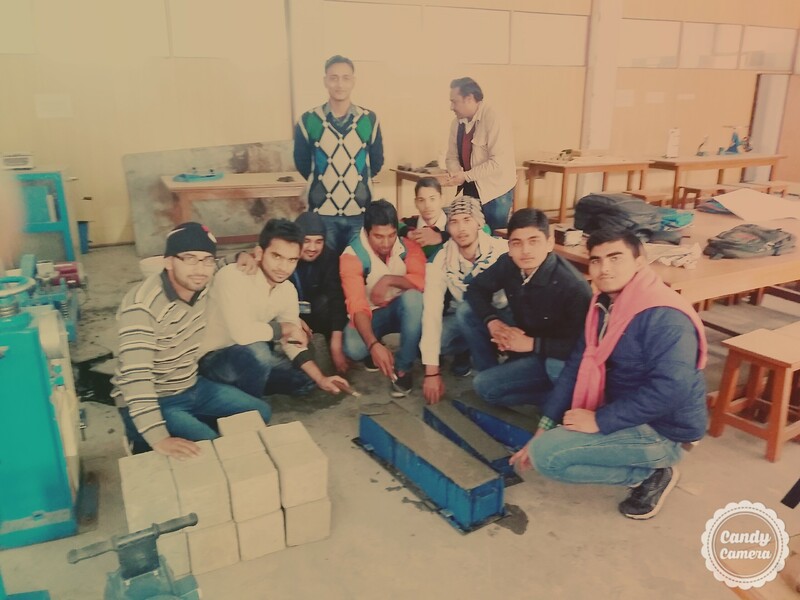 This laboratory course will help the students to understand the theoretical concepts learned in the course building materials. The objective of Transportation Engg. 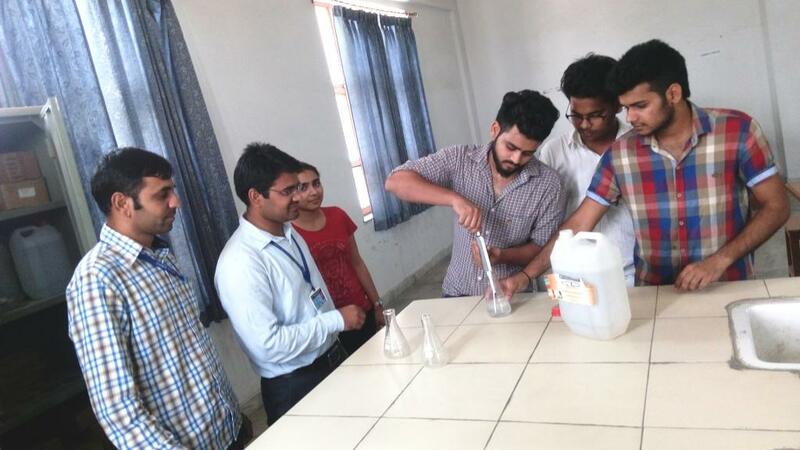 laboratory is to determine some of the properties of coarse aggregates and bitumen. 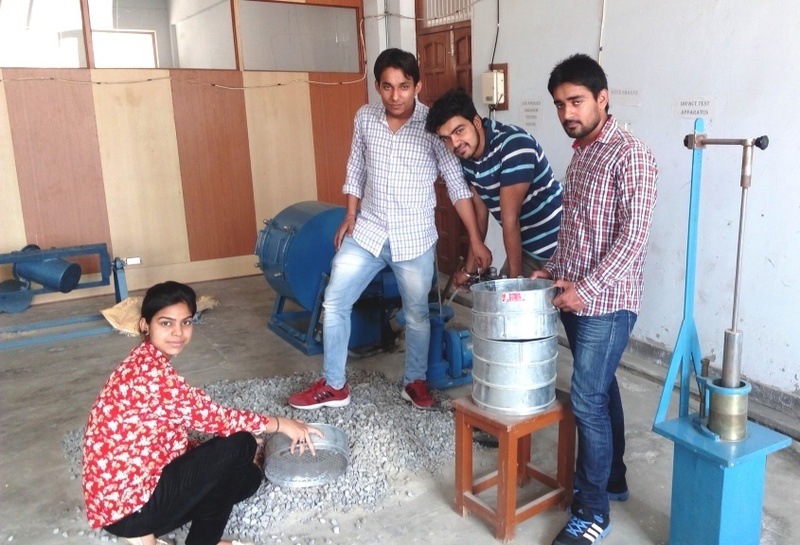 Experiments include tests for impact, abrasion, attrition test and crushing strength for coarse aggregate and tests for penetration, ductility, viscosity, softening point and flash and fire point for bitumen. 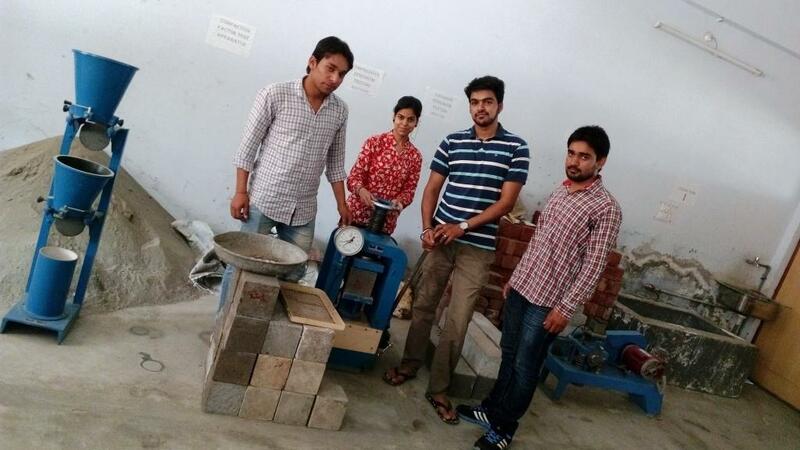 The students will be able to infer the suitability of these materials for construction of road. This laboratory course will help the students to understand the theoretical concepts learned in the course transportation engineering. The objective of Soil mechanics and Geotechnology laboratory is to determine the physical and engineering properties of soil which are required for suitable design of foundations for any structure. Physical properties include specific gravity, moisture content, density and consistency limits namely, liquid, plastic and shrinkage limits of soil. The engineering properties include permeability, consolidation, compressibility , shear strength and bearing capacity of soil. By evaluating the properties of soil in the laboratory, students will be able to relate the concepts studied in the relevant theory course. 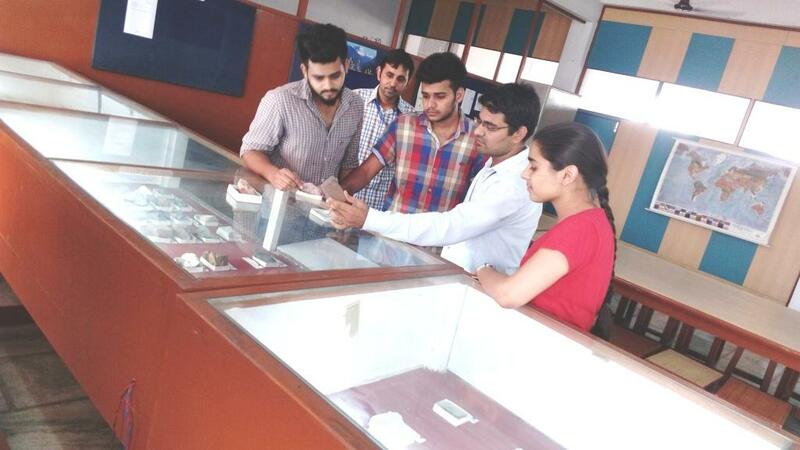 Also students can utilize the knowledge of both theory and practical in the field application to real problems. In this laboratory both laboratory and in-situ experiments can be conducted. This laboratory course will help the students to understand the theoretical concepts learned in the course Geotechnical Engineering. The objective of this laboratory is to determine the various parameters related to fluid flow in pipes and in open channels and to study the characteristics of pumps and turbines. 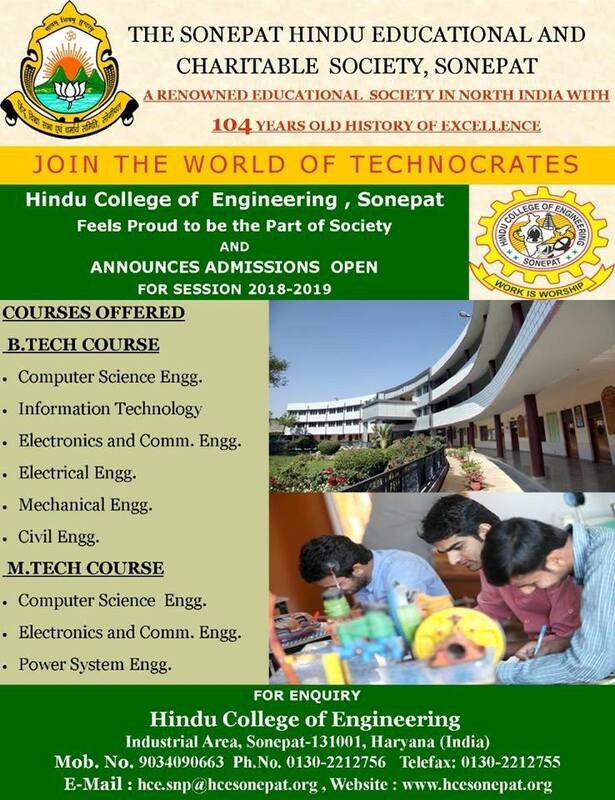 The experiments include determination of friction factor, minor loss coefficients, and coefficient of discharge of constriction meters, orifices, mouth pieces, notches and weirs, characteristics of flow profiles and hydraulic jump and characteristics of pumps and turbines and verification of momentum theorem. 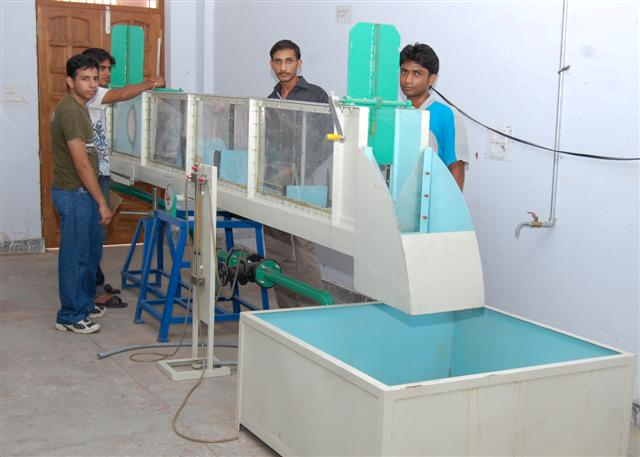 This laboratory course will help the students to understand the theoretical concepts learned in the courses fluid mechanics and open channel flow and hydraulic machinery. The objective of this laboratory is to study the geologic factors that affect the location, design, construction, operation and maintenance of different civil engineering structures. 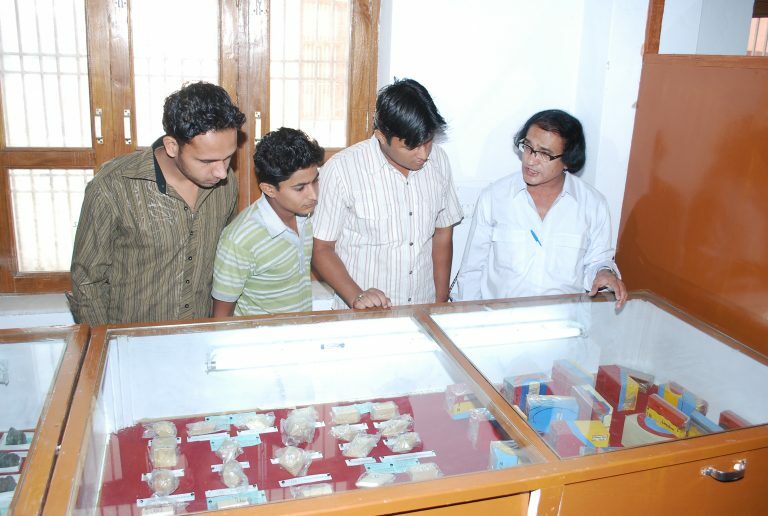 In this laboratory, physical properties of minerals and rocks, geological properties like strike and dip of the bedding planes and study of different maps can be carried out. 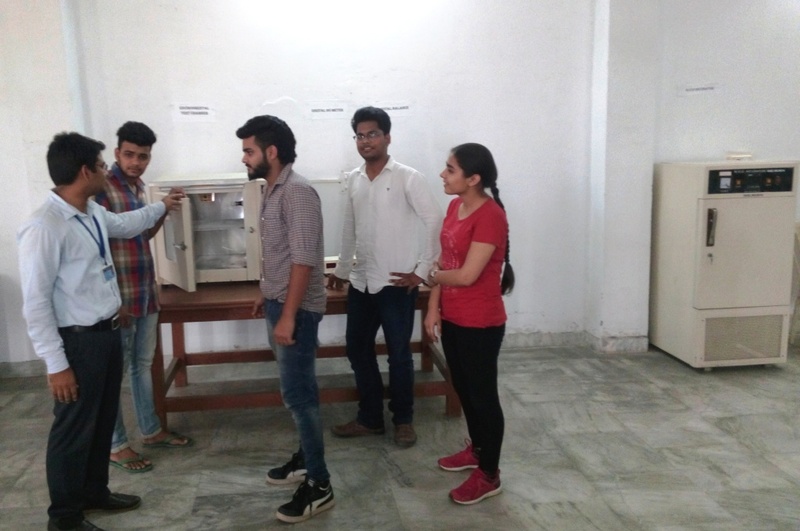 The basic ideas, learned about the geological conditions in a location will enable the students for proper design of foundations, location of ground water and design of structures for earthquake resistance. This laboratory course will help the students to understand the theoretical concepts learned in the course engineering Geology. The objective of this laboratory is to learn about measurement of distances, angles, reduced levels and setting out works.. 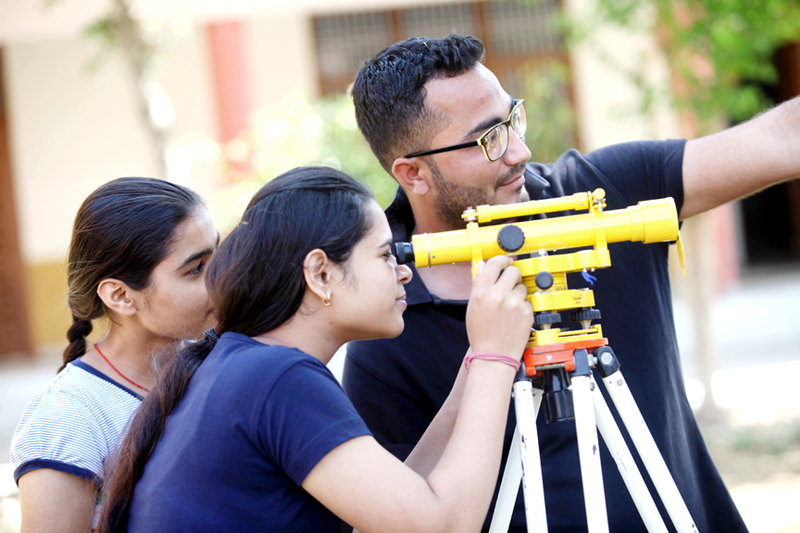 The experiments include determination of distances using chain and tape, reduced levels and contours using level, bearing of lines using compass, horizontal and vertical angles using theodolite, , and graphical method using plane table.Use of modern equipment like total station will be demonstrated. 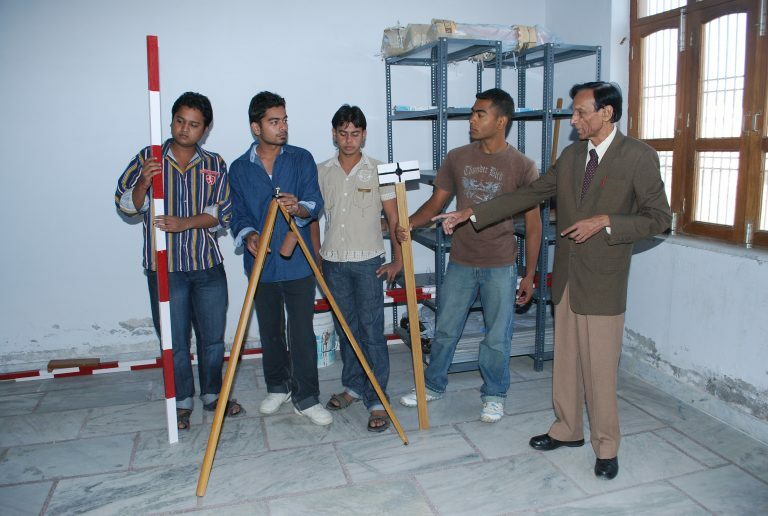 This laboratory course will help the students to understand the theoretical concepts learned in the course surveying. 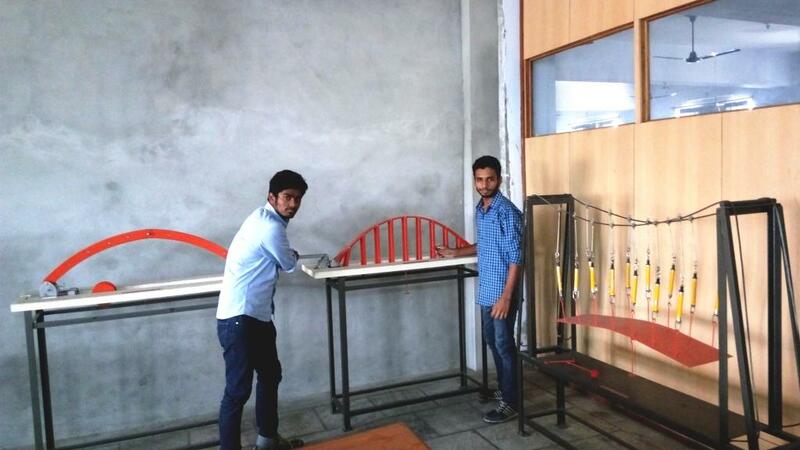 The objective of structural analysis laboratory is to determine the forces, stresses, deflections and behaviour of various structural members like beams, columns, arches, trusses and frames when subjected to different types of loadings. 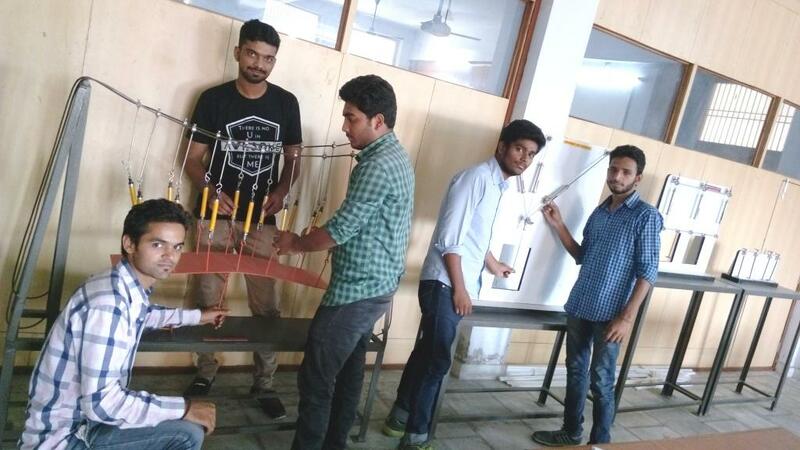 This laboratory course will help the students to understand the theoretical concepts learned in the courses solid mechanics and structural analysis I & II. The objective of this laboratory is to determine the qualities of water and waste water, quality of air and noise characteristics.. The experiments include the determination of pH, turbidity, conductivity, and impurities in water and BOD, DO and COD of waste water and pollution level of air and noise. The highlight of this laboratory is the spectrophotometer and high volume sampler. This laboratory course will help the students to understand the theoretical concepts learned in the course environmental engineering.